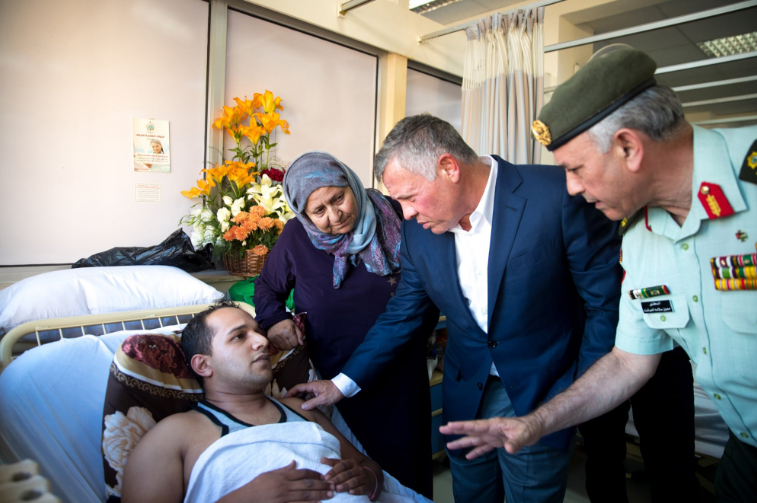 His Majesty King Abdullah II, the Supreme Commander of the Jordan Armed Forces-Arab Army (JAF), and His Royal Highness Crown Prince Al Hussein bin Abdullah II visit personnel of JAF and Security Forces who were injured during the Fuheis terrorist attack and the Salt raid on the building where these terrorists were hiding. 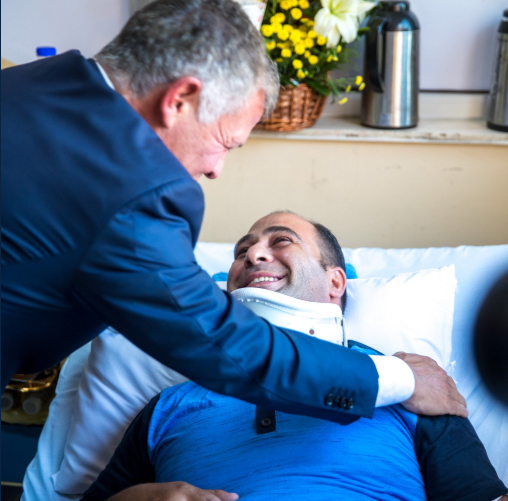 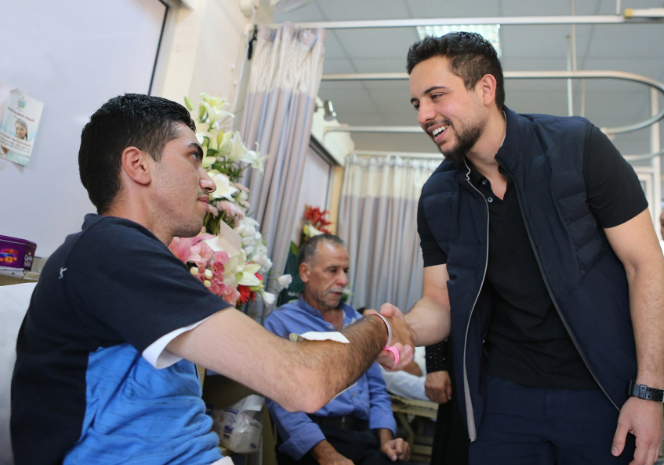 During the visit to the King Hussein Medical Centre in Amman on Sunday, His Majesty the King was briefed by Director of the Royal Medical Services, Maj. Gen. Muin Habashneh, on the condition of the injured personnel and the treatment they are receiving. 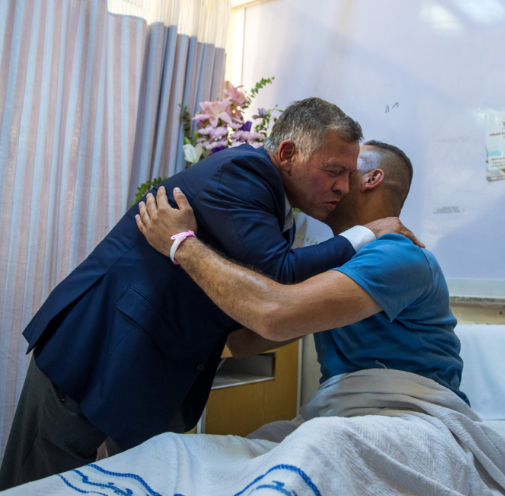 His Majesty praised the bravery of the officers who sacrifised to defend the security and stability of the Kingdom and its citizins, wishing them a speedy recovery.